Birth is the first track of a new project. Punga Mare is a 7 minutes track with acoustic guitar, strings and percussion. You can order my cd Aspects (15 €+mail). Aspects gives a kind of synthese of my musical peregrinations over the past years. Al l tracks composed, played, arranged and mixed by yours. The Old Ones is a project that contains remixes and remasterings of old recordings from the nineties. Nash was played with a Les Paul. Synth and bass were done with D10 synth on the Atari 1040 ST. 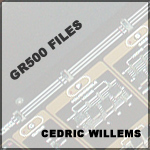 The Gr 500 files is a project with recordings from the guitar synth Roland Gr 500. Recordings were done on a Fostex 4 track Cassette recorder. 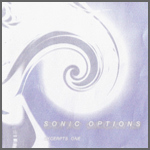 Sonic Options was a project from Michel Vanderhaeghe and myself. 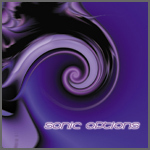 Compilation of 39 excerpts from Sonic Options projects. Compilation of 25 excerpts from Sonic Options projects. 1, 3, 5, 6, 7 and 8 were my contributions to this project. 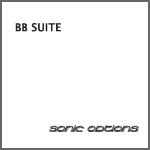 Promotion cd for Sonic Options. Demo made on 8 Track hired from Alain Van Ongeval. Recordings done with Fostex porta. Tracks played with Vega strat, Twin reverb and Ibanez UE 300. Chez Jean is named after Jan Gorduyn who played one of the two acoustic rhytm guitars. Sundance was a band from Gent (1982 - 1984). Sundance played in Perugia on july 1984. Live tracks played with Fender Twin Reverb, Vega Strat, Ibanez George Benson and Ibanez UE 300. Tracks were live recordings on cassette from several gigs. 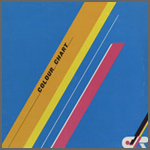 Belgian compilation Lp with bands from Ghent recorded in 1983 and released in 1984. First band. Recordings are probably lost ..
Grafitti played in 1979 as support act for Kandahar in Vooruit Ghent. My first recordings on a 2 track cassette deck. You can buy my music in my own shop, Amazon, itunes,CD Baby and Soundckick. In my own shop you can buy mp3 downloads via Paypal or ordening the CD via Paypal or by bank transfer.